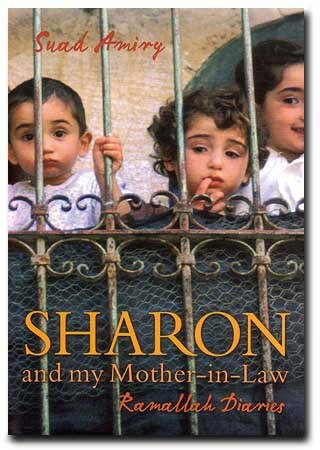 The diaries of a Palestinian professor living in Ramallah under the Israeli occupation, Sharon And My Mother-In-Law is a slice-of-life book that portrays a daily form of living controlled by checkpoints, soldiers, tanks, and suffocating restrictions on movement. Recounting experiences from the first Gulf War through to the early 2000's, Suad Amiry usually manages to find the funny side of what the occupation throws at her, from lining up for gas masks that never materialize, to navigating with the occupation's bureaucracy to secure permits for her dog, to waiting out endless curfews made much worse by having to deal with her elderly mother-in-law. The book is not attempting to be a literary classic, and Amiry's stories are far from unique. It may not be relevant to criticize a diary, but it's worthwhile to point out that nowhere in her book does Amiry discuss any of the Palestinian atrocities that prompt Israeli crackdowns, proportionate or not. Instead, Amiry reveals a spunky spirit and courage to challenge her surroundings and land herself in situations that are at the same time dangerous, funny and sad. She occasionally and self-righteously allows her fury at the mistreatment of her people to shine through, but for the most part she allows the ridiculous stories of survival without dignity speak for themselves. Sharon And My Mother In Law will not change the Middle East, but it does accessibly highlight the shameful and unsustainable mistreatment being endured by the Palestinians in the occupied territories. Printed in soft cover by Granta Books.